We're the Full-Service Professional Permanent Cosmetics Studio! It's all in the way it's done! At the Heart of Beauty, we offer fine cosmetic enhancements including eyeliner, eyebrows, lip liner, full lip color, beauty marks and lash enhancements. The eyebrows frame the eyes and influence the total symmetry of the face. We add the desired fullness and definition to thin or sparse eyebrows. Perfect balance, shape, and symmetry...It's the look you've always wanted! Permanent eyeliner enhances your eyes...choose from a soft haze to a darker, more defined effect. You'll feel great, waking up each morning looking your best! It's the perfect answer for those with allergies, contacts, eye problems...or simply to save time in our busy lives. Minkys Ultra Luxurious Lashes are perfectly shaped...soft and gently curved, a flat base finishing in a fine polished tip. Perfect symmetry, beautifully balanced - just like the natural eyelashes we all have wished for! And now they're here! Minkys Ultra Luxurious Lashes are perfect for giving your eyes that wow factor.They're exciting, innovative and alluring, just the perfect blend of style, drama, intrigue and glamour. The Heart of Beauty is a full-service lash enhancement studio, and also the Minkys Ultra Luxurious Lashes regional distributor and training facility for area salons and beauty professionals! Permanent lips give more fullness and definition to your mouth, as well as correct an uneven lip-line. It can even minimize the appearance of small wrinkles. We can add a natural tone, or you may choose a more visible color. Dress up your new natural looking beauty with gloss or even lipstick, to create a particular effect for special occasions! Some of us have encountered life-circumstances that may have muted the expression of our unique inner beauty. This may have diminished our confidence, our desire to smile widely & greet each day with enthusiam. We have special advanced training in paramedical procedures such as scar and stretch mark camouflage, skin re-pigmentation, correction of uneven pigment from Vitiligo, and areola restoration for breast cancer survivors. We can put your beauty back where it belongs! As for your smile...when you see the results, you'll realize it was with you all along. Permanent Cosmetics, as MicroPigmentation is commonly known, is the process of placing pigment just below the epidermis, or the outer layer of the skin. At The Heart of Beauty, we select premium iron-oxide based pigments. They're the very best, as their color is very stable, and they possess unique physical characteristics that provide a beautifully consistent appearance. As you can see, we have a great selection of pigment colors! But through our advanced skin tone analysis, we may discover that a subtle blending of certain colors will create the perfect color...the one that's just right for you! Our pigments have proven record of safety in the medical field as well as in cosmetic procedures. They are also free of the many health concerns common to inexpensive alternatives such as organic pigments. Our pigments are very durable & their color retention is unsurpassed. That's a good question! And one that is very important for your safety, comfort, and to getting just the look you want. We use state-of-the-art digital equipment. This design is extremely precise, very gentle, and may be fine-tuned for optimal effect on lips, eyeliner, eyebrows, and other procedures. It's precision and accuracy is astounding! At The Heart of Beauty, your safety and comfort are our highest concern. We use the best hygienic, digital handset to gently and precisely place the pigment. From hair strokes to fine lines, we can create any effect you would like! 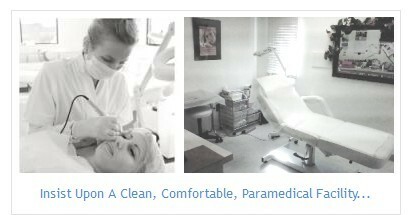 We only use sterile, single use applicators and always perform procedures in accordance with the highest sterilization and sanitation standards. This precludes the opportunity for cross-contamination that's so common with old style coil machines frequently found in tattoo parlors, but also in use by many permanent cosmetics technicians. To know what's best...consider what's not. Using less sophisticated devices, such as mechanical coil machines, may increase the health risk, or limit the users ability to achieve more natural, subtle effects. These old style tattoo machines, common to "tattoo parlors", are noisy, less precise, and incapable of creating natural looking hairstrokes. They are also more prone to contamination because a client's bodily fluids may be drawn up into the pigment chamber of the device. This allows greater opportunity for cross-contamination. As they are so inexpensive and many technicians don't have the advanced training for digital technology, tattoo guns are still in use by many permanent cosmetics practitioners. The manual insertion method of pigment placement is a derivative of ancient tribal tattooing. A technician places each insertion of pigment into the skin through a needling process. As procedure time is greater, the client may experience greater discomfort, and the balance & symmetry of the results may be affected by technician fatigue. It would be prudent to ask...It's important for your safety, comfort, and to getting the natural looking results that you desire. Using less sophisticated devices, such as inexpensive mechanical coil machines, may increase the health risk, or limit the ability to achieve more natural, subtle effects. By using the best equipment available, in a clean, comfortable, paramedical facility, and with the aid of a slight topical anesthetic, The Heart of Beauty offers you the look you've always wanted, with very minimal discomfort. Don't forget your coupon, you'll save 10%! Click "Get My Coupon!" to get yours now!